In Part 1 of the earlier blog (Optimal Browser Settings for Performance in your S/4HC System), we explored how to get the best from your browser settings. But how about beyond the browser settings….? In this part, we will cover several more important points for your toolkit to improve loading times and home page configuration so your end-users enjoy the best end-user experience in the cloud. With the delivery of 1711, we introduced the concept of ‘Blind rendering” which renders only the visible tiles of FLP home page. With this setting, we still need to parse the entire PageSets which describe the FLP home page, so wisdom tells us that one option is to configure launchpad to ensure you select only one grouping at a time. As most users wish to launch Apps rather than search, you can take the following guidelines to have the best navigation experience. To locate business objects (e.g. 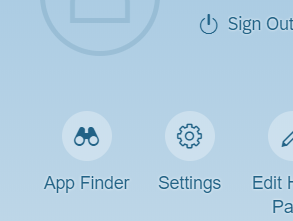 sales orders or material) using the search bar, SAP Enterprise Search must be integrated and set up in your environment; otherwise, the search returns apps that are located only in your home page and the catalog. The app searcher in the top right corner allows you to search for Apps entirely within the browser. Best practice for adding roles for users is that adding multiple roles should really be avoided as loading of all the tiles happens asynchronously in background to take advantage of UI2 technology as built-in UI2 caches to the DB server to cache FLP content. By having disproportionate volume of roles and in turn tiles, this leads to a greater chance of UI2 cache invalidation. In the most cases in the productive environment, the FLP content is loaded and parsed directly from the local browser cache. For any reason when the browser cache is cleared or not yet filled, the FLP content is fetched from the server from the UI2 caches. When your FLP content is changed due to changed role assignment, role content, personalization of FLP home page; then UI2 caches must be invalided. In this case, the server needs to calculate FLP content from the scratch again at FLP logon time. 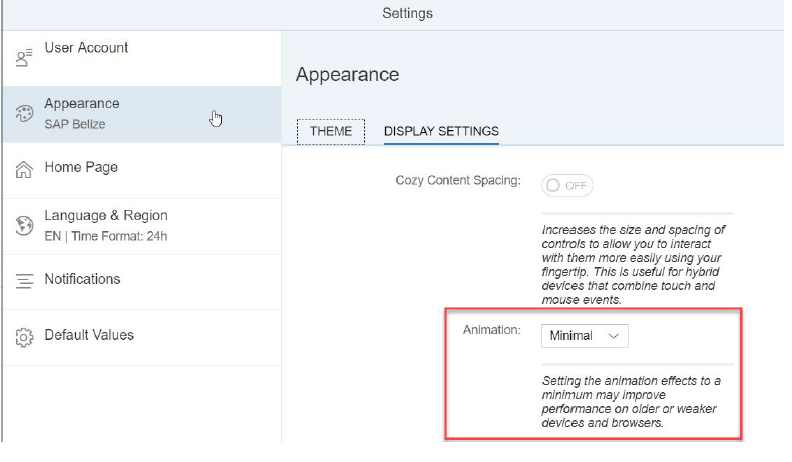 We can conclude that to take advantage of UI2 caching technology delivered with S/4HC and Fiori this best done with only the roles necessary and access to your essential apps. Otherwise, the greater the data load, then the greater the impact on performance due to the data download and rendering effort. In the next blog chapter, we will look at some of the developer tools that you can use and also used by SAP to analyse performance. Part 3 – Capturing System Performance using HTTP Watch trace and Chrome Developer Tools.